Posted by Parabola Developments on Jun 1, 2018. As Albertans, we live in a part of the world where air conditioning is often considered a luxury. Whether or not your property has an A/C unit, lower temperatures throughout your property means the air conditioner turns on less often-- which saves you money! 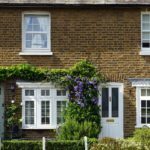 Keep reading for Parabola Developments top tips for keeping your property cool in the summer. Throw Some Shade While the early morning light is a refreshing change from winter’s short days, it also has the side effect of warming up your ...Read More Here! Posted by Parabola Developments on May 1, 2018. Just because the temperature has dropped doesn’t mean your energy bill needs to go through the roof. 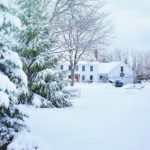 A few quick changes and repairs are all you’ll need to maximize savings while making sure your home stays warm and toasty this winter. Use Thermostat Timers Most people aren’t in their homes all day every day, so use that to your advantage and turn down the heat when people are gone. Dropping the temperature during the workday can lead to big savings each month. If you don’t want to com...Read More Here! Posted by Parabola Developments on Apr 4, 2018. You’ve decided to hire a general contractor to complete your bathroom renovation. So what happens next? After you’ve worked with your contractor to finalize the plans, your contractor is going to assemble a team of experts to help make sure your dream becomes a reality (in a timely and budget-friendly manner, might we add). Read on to meet the different people involved in a bathroom reno. 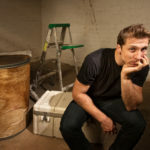 Plumber A plumber will play a critical role in your bathroom renovation, especially if you’re lookin...Read More Here! Posted by Parabola Developments on Mar 6, 2018. Many homes - especially new builds - come with an unfinished basement. While this may seem overwhelming to some, an unfinished basement gives you the control to turn the space into whatever suits your life best! If you’re wondering what to do with your unfinished basement, read on as Parabola Developments outlines a few ideas and inspirations. Build Out a Cozy Guest Space Give your guests the luxury of having their own space when they visit. Building out a spare bedroom and bathroom will not...Read More Here! Posted by Parabola Developments on Feb 5, 2018. There’s nothing worse than getting halfway through your home renovation and realizing that you’re going to come in way over budget. 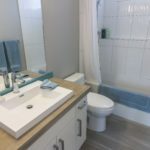 The good news is that with some strategic and creative thinking, you can cut your renovation costs without cutting corners. Join Parabola Developments as we highlight five tips to help you save money on your next reno. 1. 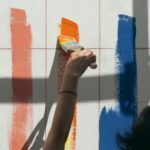 Know When to Call for Help While DIY-ing some or all of your home renovation is a great way to save on labour costs, it’s important to kno...Read More Here!